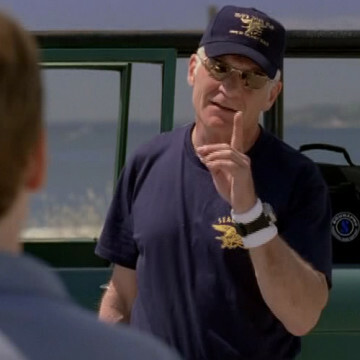 Dale Dye plays the role of Vince’s scuba, weapons, and driving instructor during seasons two and seven of Entourage. While Turtle races to get Drama to an audition in S02E08, Dale’s character prepares Vince for his upcoming Aquaman role. Before his career in acting and consulting, Dale Dye served several years as a Marine for the United States.